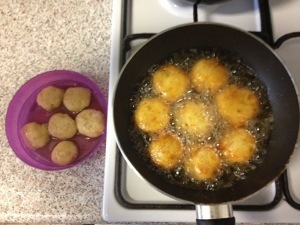 [Cooking] Perkedel à la Abellia, without using shallot. 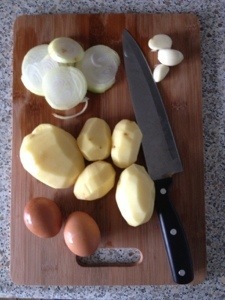 Prepare some ingredients as you can see above, potatoes, eggs, garlic, onion, some salt, paper, and Indonesian enhanced flavour (Masako or Royco). 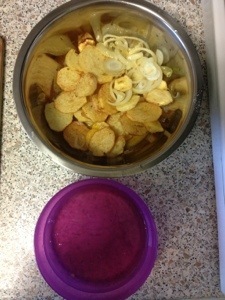 Chop up the potatoes and the onion. Split into two the garlic. Heat some oil in the frying pan, wait until it’s hot enough. 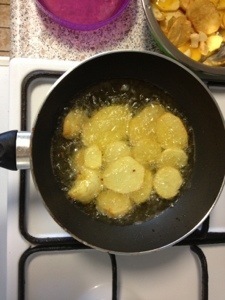 Put the potatoe cuts into the pan, fry them until they are getting tender. 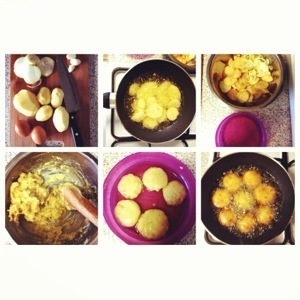 Prepare the eggs by separate yellow and white part; add yellow part to the bowl along with fried potatoes, fried onion, and fried garlic; meanwhile, use another bowl to put the white part. 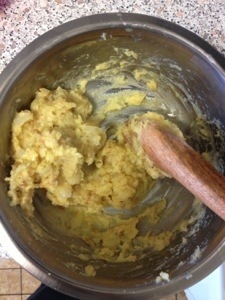 Mash them completely and add some salt, white paper, and Masako or Royco. 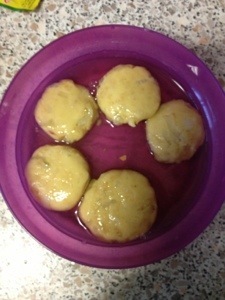 Take some small part and form them into kind of ball. Layer them then with white part of the egg. 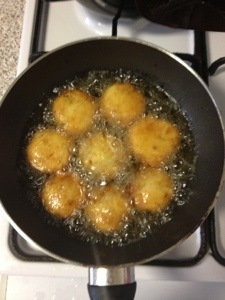 Then fry them until it’s getting yellow-brown. Voilà! This recipe is for you @tugsemylmzr I promised you a year ago to write it down. 🙂 enjoy! Previous postThe Devil reads Derrida! looks yummy:) but it should be pepper not “paper”, right? Haahaa, sorry for doing some typo. Yes it is! 🙂 thank you!